Dear Nasimi Beach, we’ve really missed your legendary beach parties. That’s why we’re extra hyped for the launch of the Casa Playa festival this weekend… so bring on the good vibes! 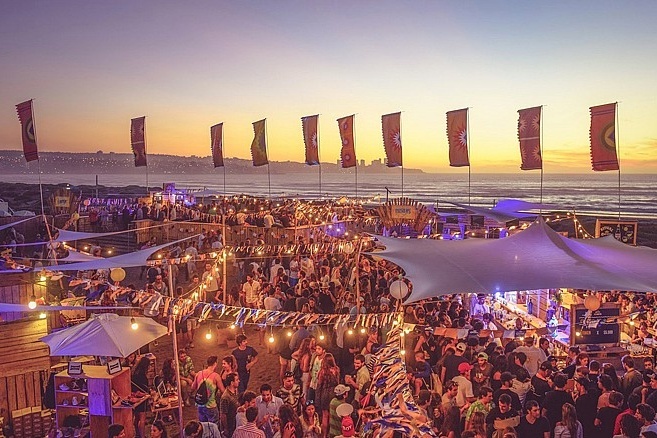 The Casa Playa festival is boho-style day-to-night party that will bring together live bands, DJ’s and beachside activities. Headliners include Felix Jaehn and Lost Frequencies who will be taking over the decks, alongside supporting acts EDX and Claptone. Expect a mix of acoustic sundowner sets, followed by massive EDM bangers to get the crowds moving. Pick a spot on the beach or hit the waters where guests DJ’s will be performing on a floating pontoon – splash the beats away! There’s more than just great music to keep you entertained; on Friday, guests can enjoy stand-up paddle boarding and water volleyball. Nasimi Beach is also hosting a quirky competition where you and your crew can build a raft out of driftwood and palm leaves in a race to a win a VIP experience prize. Feeling constructive? All rights reserved to the initial publisher for Insydodubai.